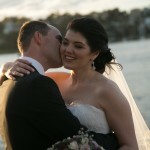 BRIDES: please visit the Services & Pricing page of the website for wedding makeup costs and minimum spends. To make a booking please contact Megan using the WEDDING BOOKINGS form below, and she will contact you directly within 24 hours to confirm availability. FASHION, EDITORIAL, COLLABORATIVE, PR & OTHER: please scroll down to the ALL OTHER ENQUIRIES form and provide as much information as possible including dates, location and timing required and Megan will contact you directly within 24 hours to confirm availability and rates. Please provide your details below and Megan will contact you directly within 24 hours. 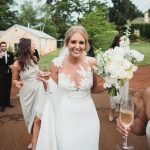 Follow us to see raw unedited images of Makeup By Megan clients, get access to beauty advice, makeup tips and the best inspirational images for wedding Pinterest boards. 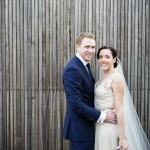 “Just wanted to say a massive thank you for helping make our day so perfect even through the haunted blinds!! I knew you were the perfect choice and can’t believe how incredible everyone looked. You are so good at what you do and you have this way of making everyone feel comfortable and relaxed to the point where my mother in law was nearly falling asleep haha! I had such a great time getting ready with everyone and I can’t wait to share photos with you!! 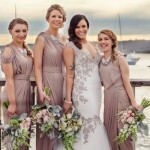 “Thank you SO SO MUCH for helping me look and feel so A-MAZING on my wedding day but also for my bridesmaids and my mum as well – they looked soooo naturally stunning. In my eyes, I just couldn’t have had anyone else but you so thank you to agreeing to be a part of the craziness! You really helped bring a cool and calm vibe right from the beginning to the end of what can be such a nerve-racking experience! “You incredible woman. Thank you. Thank you for making me laugh. Thank you for putting smiles on everyone’s faces all morning. Thank you for your unfaltering attention to detail. Thank you for being flexible, efficient and professional. Thank you for the confidence and glow you gave me and my girls. 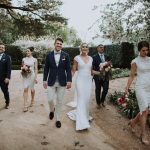 I honestly felt so comfortable and radiant, we had so many people raving about your work – we were all too happy to rave about you! We were so impressed by how well the makeup held, even after hours of crying, wind, hugging, dancing and a couple cheeky bulldog kisses! So, from the bottom of my loved up and married heart, thank you. Thank you for being one hell of a woman. 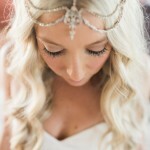 “Thank you Megan for making me feel so gorgeous on my wedding day. 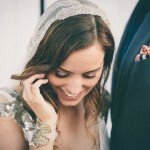 I absolutely LOVED my wedding makeup and it was exactly how I envisioned it. 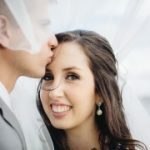 After meeting Megan at my trial, I immediately knew I would be in excellent hands and dealing with a true professional making my wedding day stress free and so much fun. 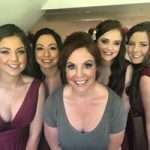 Megan listened to what I wanted and created an amazing look for my four bridesmaids who looked absolutely stunning. “WOW WOW WOW! Cannot recommend enough. 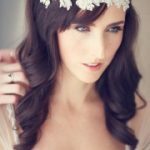 I was lucky enough to stumble across Megan on Instagram whilst looking for a makeup artist for my wedding. I booked Megan in to do all the makeup for our wedding morning, so myself, 4 bridesmaids, mother of bride and groom and my sister in law. Everyone looked like THE most amazing versions of themselves! It was a hot hot 35 degree summers day and all of our makeup lasted til the early hours of the morning after hours of cutting serious shapes on the dance floor, sweating and kisses. 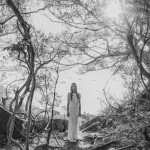 Megan was an absolute pleasure to spend the morning with, super professional whilst still being relaxed and fun. “I just wanted to say a massive thank you to you. You made our day 1000x greater than I could ever have imagined. Your energy is so perfect and so calming – It’s one of the reasons I was drawn to you and I honestly don’t think I would have been so calm without the combination of you, Elise and Michelle. I felt so beautiful but as someone who doesn’t wear a lot of make up, I still felt like me, and I know all the other girls felt the same. What you do is amazing and I am so glad I crossed your path. “Megan…where do I even begin. From the moment you walked in the door on Saturday I knew the day was going to be okay. You bought so much joy and calm into the room and you made everybody feel so comfortable – even the girls who were very unsure about having their makeup done. You made everybody look absolutely stunning, but most importantly, everybody looked like themselves, which was one of my favourite things about the day. You are absolutely brilliant at what you do. I cannot thank you enough for your patience, for the laughter you bought to the room, for making everybody feel amazing, and for calming me down when I needed it. I am definitely getting myself some frankincense oil! Thank you for making our wedding day so special. I will definitely be stopping in next time I’m in Berry to visit you and your gorgeous pups! “I swear…. You are such a genius at what you do. The ladies looked amazing all day yesterday. They shimmered. Thank you for the care you put into your work. Thank you also for saving the day on the boat. The bridesmaids told me that Josie was VERY upset that her veil had come off. You made her feel relaxed and happy again. Talk about going above and beyond. “I can’t thank you enough! You truly are magic at what you do! Myself, my bridesmaids and my mum were all so happy with our makeup. It was fresh, light, luminous and stayed on all day and night! It was so lovely having you around the morning of our wedding, It takes a special person to fit seamlessly into a crazy bunch of girls and family and be able to chat, laugh and make us feel like we’ve known you for years!-Your calm nature, positive energy and sparkly self made my morning that little bit more special. I can’t recommend you highly enough. Keep doing what you do. 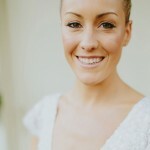 “Look no further than Megan Vaughan if you want to have a wonderful and beautiful makeup experience on your wedding day. 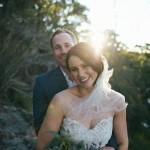 Megan not only made the whole wedding party look genuinely amazing, but she is so calm, funny and relaxed that she really makes the wedding morning enjoyable. 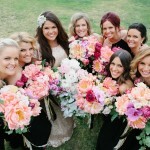 Every bridesmaid said they had a ball getting ready with her! I for one, could have stayed with her all day (forget the wedding)! In addition, Megan’s touch up service is the best wedding money I spent. 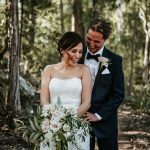 You get hugged and kissed by so many people that you can feel a bit messy, so it was brilliant to have Megan there to freshen us up before the reception. I would definitely highlight that to any future brides. 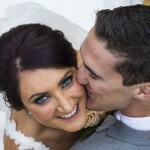 “I had the pleasure of having Megan do the make up for my wedding in March 2016. 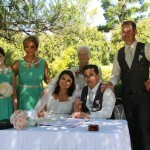 There were 5 of us in the bridal party – bride, 3 x bridesmaids and 1 x mother of the bride. As I paid up front, we received complimentary fake eyelashes and a complimentary lipstick for me. Megan was fantastic. 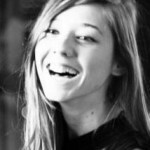 She is the perfect mix of artist and manager. 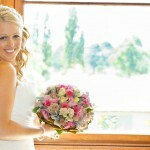 She really knows how to accentuate your best features so you look like your best self on your special day. Each woman had different colouring and features and we all looked amazing. Also, Megan has excellent time management skills, she did make up for 5 of us and managed to finish early. I had heard many horror stories about make up people running late, but Megan is such a professional, everything happened seamlessly. Most importantly, Megan is a lovely person. I was nervous during my trial and she put me completely at ease. 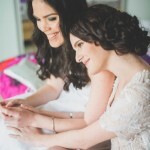 On my wedding day, I was also really nervous, but she was so warm and fun, it made getting ready really enjoyable. 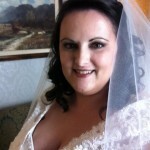 “I wanted to send you a note to thank you so much for my makeup for the wedding. Having the other makeup artist cancel was such a blessing in disguise! As you know I was feeling pretty sick and miserable that morning. I’d pretty much given up any hope of looking gorgeous at that point. After I saw my makeup it brought the biggest smile to my face! You managed to create the exact look that I wanted. I couldn’t believe how amazing my makeup was. I received so many compliments throughout the day. My makeup was absolutely flawless all evening too. Even having more photographs taken later in the evening I knew I could relax knowing that I looked flawless from every angle (and that no one had any idea how sick I actually was because I certainly didn’t look it!). You were so fantastic to work with, I can tell you really care about giving your clients exactly what they want, and it was so nice to know you have the experience to create absolutely any look. “I just wanted you know how much I appreciated everything you did for not only myself but my 3 sisters and mother for our wedding on the 12th of August. The make up for my wedding was the most anxious part for me but you made me feel so comfortable and put to rest any worries I had. After the trial I knew I had made the right decision in contacting you. You created a look which made me feel confident and comfortable. 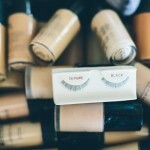 The make up did not feel heavy at all and maintained its quality through out the whole day and night for not only my bridesmaids, my mother, but my own which went through 2 dress changes. Even at the end of the night guests were commenting on how well the makeup had held up. 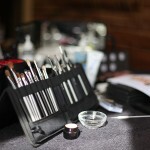 You truly are an amazing make up artist with an awesome personality to match! “You were so amazing on the day!! I am still over the moon with how beautiful everyone looked! I would not change a single thing about your service. Everyone left that room feeling amazing – and so they should have. I am so thankful that I found you. You are so great at what you do! Thank you for making my wedding preparations as stress free as possible and for creating a look for me that was more beautiful than I could have ever imagined. “I just wanted to say a HUGE thank you for the amazing job you did on everyones makeup. I couldn’t have imagined we could all look so beautiful and the makeup held up even though I cried through all 5 speeches at the reception. No streak marks whatsoever! I didn’t have to touch up my makeup at all throughout the night and I fell asleep in it by accident and woke up at 6am still looking as amazing as when you first applied it. “After a very busy work period and our honeymoon I can finally sit down to my thank you’s and you’re at the top of the list! Thank you for making my wedding day such a special experience. I felt so beautiful in the makeup you did, and was secure in the fact that it was going to last all day and night with my touch up package. 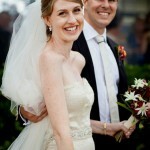 I really enjoyed the change of look as well – people kept asking if I had changed my dress altogether! 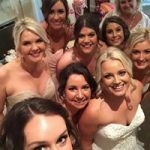 “I just wanted to write to thankyou for making myself, the two bridesmaids and the mothers feel so special and well looked after on my wedding day in October. None of us wear a huge amount of makeup normally so we were all hoping for a natural look that would allow us to feel like ourselves and not be self conscious about looking too “done up” on the day. That’s exactly what you delivered, plus you and Carly made the whole experience of getting ready a real pleasure and lots of fun. 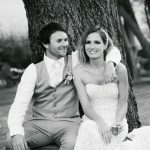 And on a personal note, I’m a pretty shy person so was feeling quite anxious in the lead up to the wedding about being the centre of attention all day, but the way you made me look filled me with confidence and really allowed me to relax and have a fantastic time – I can’t thank you enough. “Sorry it’s a little late but…. 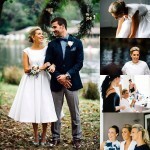 I just wanted to let you know how amazing you made me, my family and my beautiful bridesmaids feel on my special day. 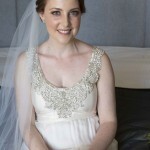 My makeup was just what I envisioned, it was light, lasted all day and night and looked beautiful in the photographs. You were able to cater a look for my beautiful 82 year old Nan, a natural look for my bridesmaids, a bold eye for myself, and a look to suit my mothering law and mother. 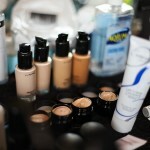 I was amazed how light my makeup felt while still managing to to cover up any skin imperfections. Watching you work on everyone was magic! Thanks so much for being apart of my special day and I will see you soon at Bonnie’s Wedding. 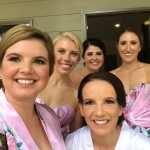 “Just wanted to send a quick thank you for Friday- we all loved our makeup and it was so much fun getting ready with you and Carly! Thank you so much! The day turned out amazing despite the rain and we got a lot of comments on our make up- I’m sure there’s a lot on engagements in the pipeline for my friends so I’ll be recommending you to everyone I know! Thanks for being awesome! 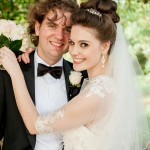 “Thank you SO much for doing such beautiful wedding make up for myself, my sister and my mothers. You made all of us look both natural and special as well as feel so relaxed while we were in your chair. My mother and mother in law were a bit worried about how their make up would look given they both don’t wear a lot of make up and haven’t had this done in a long time. They were both so delighted in the look you gave them! 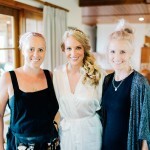 “Thank you so much for all your help, you are one seriously talented woman! 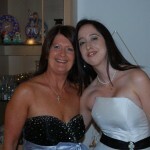 My bridesmaids looked beautiful, I felt beautiful and not to mention my mum looked stunning. You made us all feel so comfortable, I couldn’t have pick a better make up artist. “Megan was a dream to work with! 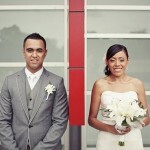 So professional and friendly, and kept the bridal party so relaxed! 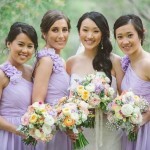 Everyone was complimenting the bridal party’s makeup, and it was flawless and looked amazing. 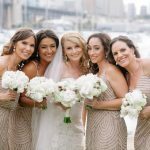 “Thank you so much for doing beautiful, natural looking makeup on all of the women in our wedding party. Anne-Marie looked gorgeous. I am a person who doesn’t wear much makeup normally and so was quite nervous about having professional makeup done for this special occasion. You were so calm, relaxed and confident that this ensured that I felt confident too. I was thoroughly intrigued watching you create your magic on mine and everyone else’s faces. 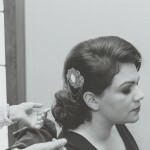 I was thrilled with the “look” you created for me, being Mother of the Groom. You cleverly covered any skin imperfections. The end result was wonderful – natural and enhancing. 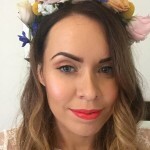 “I’d like to pass on a huge thank you, for the amazing make up you did for myself, my bridesmaids and my mum, on my wedding day. 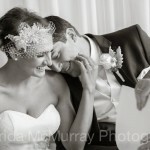 We were so pleased with our make up, I could not have been happier! 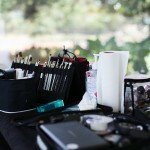 There was absolutely no doubt when it came to choosing our Makeup Artist. It was the first and easiest decision I made for the wedding. I would highly recommend you to anyone. Thank you for sharing the day with us, we really enjoyed your company. 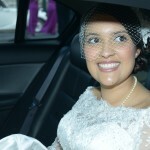 Karen Moore here…just wanted to thankyou again for all your help on the Victoria’s wedding day. 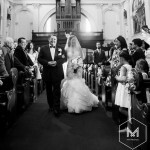 The whole day was beautiful from start to finish and you were a very helpful, professional and friendly part of it. So thanks. 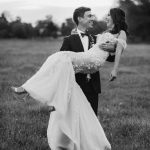 “Thank you so much for your services on my wedding day! 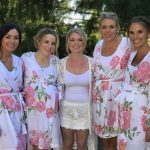 “I am so sorry that it has taken me so long to get around to thanking you for the amazing job that you did on myself, my bridesmaids and the mothers at the wedding. I was so thrilled with my overall look for the day and you got my makeup spot on, it was exactly what I wanted! I thought my bridesmaids looked truly beautiful as well. 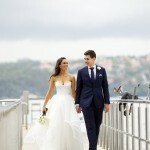 You were so amazing to work with, so relaxed, you really brought a beautiful vibe to our house on the wedding day. Thank you again, you are such a gem. Hopefully, I will see you again sometime in the future. 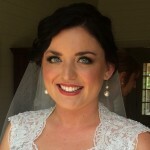 “I chose Megan of Makeup by Megan to do my bridal makeup in May 2015 and I could not have chosen better. 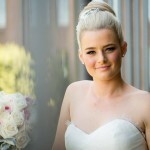 Megan created a beautifully natural looking style that photographed well into the evening without needing a touch up! 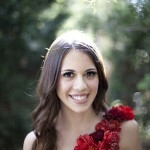 Megan was flexible with what I wanted and knew how to achieve what I was after and did so successfully. Megan is a true professional. 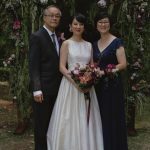 She achieved a beautiful look for me, three gorgeous maids plus my wonderful mum all while being a wonderfully positive presence on what was a very nervous morning for me. I would 100% recommend Megan to any bride who wants a beautifully natural look created by a true professional in the business. Thank you so much for the absolutely wonderful job you did for myself, mum and maids. The four of us were so happy with our looks. You listened to what we wanted, worked with our skin tones and all the girls looked so natural, beautiful and my Mum was GLOWING! You were so helpful in making sure we got it just right with the trial and even going out of your way to find the right lippy for me at late notice. You kept us all calm on the day and the morning getting ready was so much fun thanks to having you and Mel there with us talking mindless chatter and enjoying that devilishly good caramel slice! As a professional in the industry, I know it is a competitive space but I could not recommend you enough and will be singing your praises to anyone and everyone who will listen. I have to write this to the two of you as you are the perfect package!! 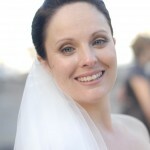 I had no idea what to expect on my wedding day as I NEVER wear make up and I rarely even run a brush through my hair. Probably the reason for that is that I have never felt good about the way I look and forever so critical of myself. 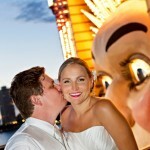 I was really worried that those feelings would ruin how I felt on my wedding day. I had no idea that I could look and feel as amazing as I did on the day…I felt exactly how I had hoped I would. Thank you so much for working your magic while still keeping me looking like me! The self confidence I had on the day has carried over and I really feel great about myself all of the time now and I havent come down from that high! Having you two in the house that day really contributed to it being special… It was like having 2 extra girlfriends there. I know everyone loved you and we couldnt have wished for a better match. Thank you so much also for including the children who were in the house as they were so excited to be involved. 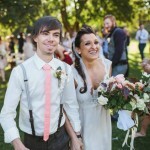 My husband and our guests were blown away by how amazing everyone looked. 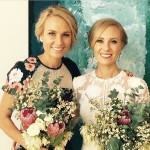 We both look back on the photos of the beautiful bridesmaids who really looked like angels ( they are not!). You really ( and somehow after only a short time spent with us) captured their personalities and their hair and make up really reflected who they are. We all want to do it all again and we would all love to see you again! We will definately recommend you to anyone and everyone and hopefully we will all call on you again soon. I plan on getting my hair and makeup done more often now and will find any excuse. 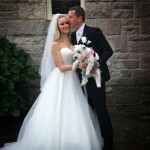 “Thank you for being a part of my special day – the make up you did for Maggie and me was absolutely beautiful and made us feel incredible. You listened very carefully to what we both wanted and totally nailed it. Thank you for making such an effort to accommodate us (even if it meant getting up at the crack of dawn!!). 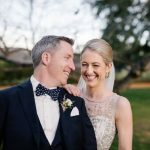 I was also so touched that you took the time to meet us at Porteno just before the ceremony to do final touch ups – a gesture that show what a true professional you are. It is the kind gestures like that that made our day very special. Thanks again Megan – I’m only sad now that we don’t get to do it all over!!! 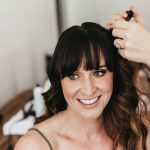 “After checking out Megan’s website and seeing the beautiful, natural glowing makeup on her models, I kept thinking to myself, I have to get a trial done. 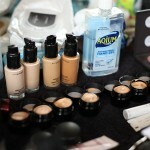 After the makeup trial I remember walking away not wanting to take my makeup off! Megan is a natural at what she does. She has an eye for detail and listens to your suggestions on what you like or don’t like in your makeup style. 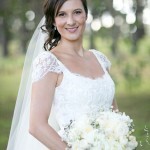 On the wedding day, Megan was so professional, friendly and very patient with my bridal party. The makeup lasted the whole day and was just flawless even late at night on the dance floor! 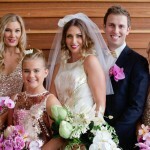 “Megan, it was thank’s to you that I and my bridesmaids looked like we did- and I thought we all looked amazing!!! Your relaxed, calm, happy nature truly showed your professional manner. With this we all felt confident, comfortable & relaxed on such a stressful day! The fake eyelashes are a must and we all held onto them for as long as we could!!!! Thank-you Megan for helping my day be amazing as it was, it was a pleasure to have you as part of the Jones team! 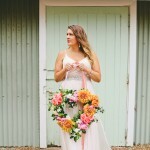 “Loveliest Megan, I cannot THANK YOU enough for making me feel incredible on my wedding day! Your artistry is beautiful. I loved, loved, loved my makeup! It was flawless and natural whilst still allowing ‘me’ to shine through. I felt amazing! The girls looked gorgeous and you tailored their makeup individually, which is so important. You understand that one look does not suit everyone. 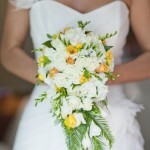 From my initial enquiry through to my wedding day you were professional, prompt and organised. 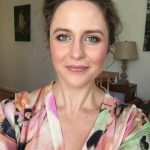 You have such a calming and friendly presence, which is invaluable when so much is happening – getting ready felt like one big catch-up with the girls! 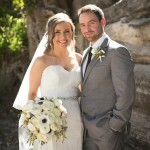 You truly were an asset to my wedding and I cannot recommend you highly enough. Ladies, book her in!!! 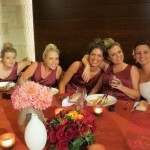 “Just wanted to say a big thank you to you for the wonderful job you did for the bridal party and I on my wedding day. You were so helpful and really made us all feel beautiful. You were super relaxed and way ahead of schedule which really made the morning run so smoothly. 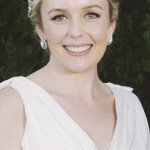 You didn’t try to hide my features but really brought out the best bits of me, freckles and all J The make-up lasted the entire wedding day and night and I never had to reapply anything. I felt like a star on the day. “Just sending a you a HUGE thank you!! 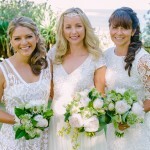 I could not have been happier with the make-up at my wedding, mum, the bridesmaids and myself all looked amazing!! We received so many compliments on the day (and ever since!) that were such a positive testament to your work! 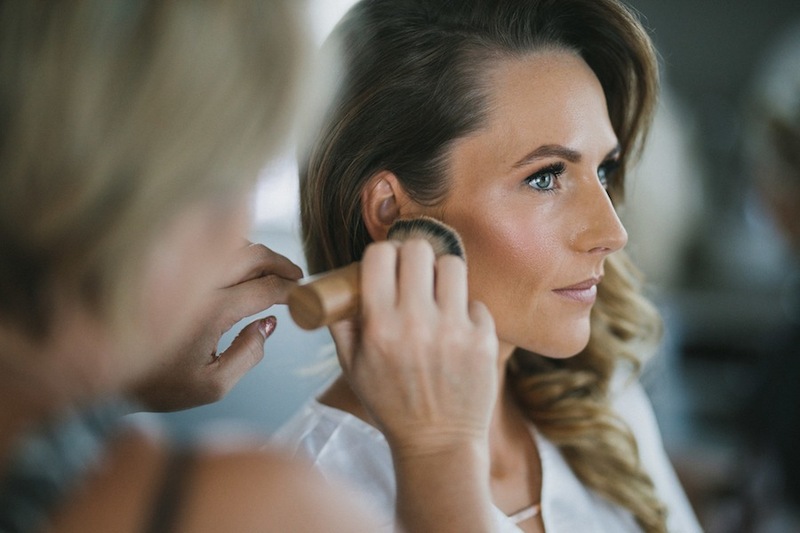 A special mention must be made of my mum’s makeup, she was nervous about having it done but you put her at ease and she was absolutely thrilled with her ‘wedding makeover’! 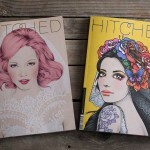 I will be sure to recommend you to any bride I meet! 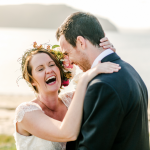 I have been chomping at the bit to get my hands on some pics to send you, with a big fat THANK YOU for your amazing work on my wedding day. One by one I watched the girls wander out the back and return looking like a cross between Victorias Secret Models and backup dancers from a Robert Palmer film clip… my dream beauty look haha! Thank you for making me (generally the dirt covered, hightop wearing, tomboy florist) feel relaxed and confident, for applying the most perfect Lauren Conrad inspired eyeliner, and finding me the most amazing statement lip from my dreams. You are brilliant at what you do and I was so lucky to have you with us for preparation on the day. 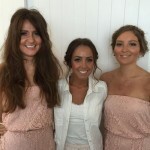 Our makeup did not budge through crying, laughing and drunken dancing!! 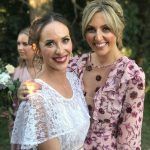 “On behalf of my myself, my bridesmaids and mothers of bride and groom and Leanne, we would just like to say a massive thank you from the bottom of our hearts for all of your incredible help making my wedding the most unbelievably magical day! You have been an absolute pleasure to work with in the lead up to the day – so professional and lovely. 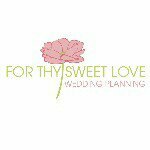 You just made the planning process flow so seamlessly and were able to meet all of our requests without question. I was completely blown away by how incredibly beautiful the make up was. The girls just looked so breathtakingly stunning. The make up looked flawless! So natural and perfect in every way. My make up was exactly what I wanted. I felt like a goddess, it was just gorgeous! A huge thank you as well for being so prompt and organised on the day. The entire preparation time just proceeded like clockwork and it made me feel very relaxed knowing I could rely on you. I definitely won’t hesitate in recommending you to all my friends and family. 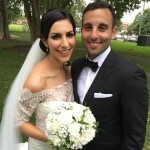 “From the moment my eyes landed on your website, I knew I wanted you to do my wedding make up! Thank you for doing our make up and dealing with me and my crazy fun bridesmaids in the morning! 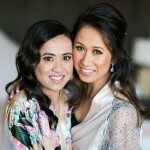 We absolutely loved the make up on our faces and we didn’t even have to touch up anything at all except our lippies! It’s honestly the best make up I’ve ever had in my entire life. I know, huge statement, but it’s very true. 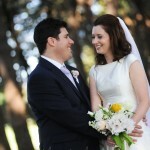 I felt very comfortable around you and trusted your expertise and experience. 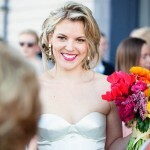 Even the bridesmaid who never had make up before loved it! 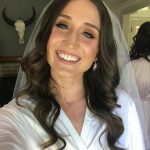 I just wanted to say a big thank you for my makeup and also my bridal party for my wedding in August! 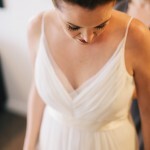 The preparations before the ceremony was so much fun with yourself and Melissa and set the relaxed tone for the entire day. I felt amazing with my makeup and recieved many compliments! You are a true professional and would highly recommend you to anyone!!! “Hello again Megan! 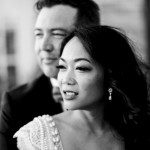 I just wanted to send a (belated) thank you for the work you did on my wedding day. I knew from looking at your portfolio we were in good hands, and you never disappointed! 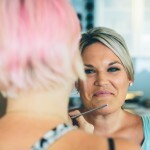 Your work was beautiful, professional, long lasting, flattering…everything I wanted it to be! 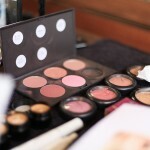 The way you employed the requested colour with my make-up palette looked so amazingly good (I’ve attached shots of how great this looked even in black in white photos!). Not only this, but you were such a fun, calm, and frankly ‘cool’ presence to have on the day, and really contributed to making the morning special. “I hope you had a wonderful weekend and are keeping warm this week. 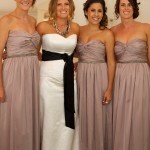 I just wanted to thank you for making myself, the bridesmaids and the mums look so gorgeous on Saturday. Everyone loved your work and we all felt beyond beautiful. We all received so many compliments and I don’t think we could have asked for anything more. It has been such a pleasure working with you, before the wedding and on the day. I’m so glad to have met you and I wish you all the success in the world. 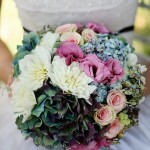 Thank you for making the day so enjoyable, your work is so professional and I’d be happy to recommend you to everyone. “Megan, you a truly amazing! “Wow! What a day! Thank-you for all that did on saturday-you were just amazing. 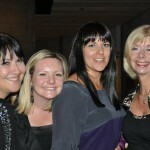 I can’t thankyou enough for the effort you put in to getting us all looking pretty bloody fantastic if I do say myself! “Dear Megan, I’ve taken some time in writing because I was trying to think of the words that would best summarise my experience with you. 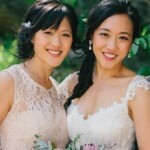 My bridesmaids loved their look (and blotting paper on an unseasonably warm March day), my mother looked amazing and received so many wonderful compliments and I felt like a beautiful, confident bride. I received so many compliments on how I looked completely comfortable, natural and stunning; I know this was in no small feat thanks to you and I would gladly and readily recommend to you to anyone else I know who is in need of a make-up artist in the future. The make-up lasted all day and well into the evening and it was a shame to have to remove it after the day was all over. 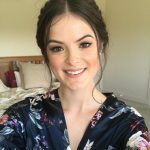 Thank-you for my wedding make-up! I ABSOLUTELY loved what you did and so did all the bridesmaids. I can’t wait to have my makeup done by you again. I couldn’t have found a better makeup artist. Megan is not only great at what she does but a really lovely person. Megan makes you feel comfortable from the beginning. Very patient and will guarantee that you walk out happy with what she’s done. 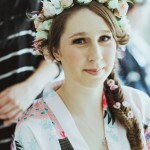 Megan was the makeup artist for my wedding in May 2012 and did a fantastic job. 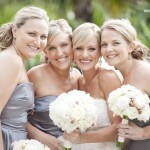 I have been a bridesmaid many times and most times have been really unhappy with the makeup. 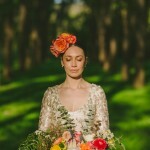 So when it came to my big day, I was seriously considering going it alone and doing my makeup myself. 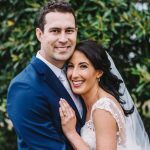 That was until my photographers convinced me of the value in the right makeup artist and referred me to Megan… it was the best decision I made! 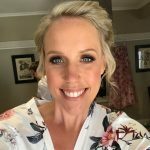 I was blown away with Megan’s work and now realise that good makeup artists are hard to come by – but Megan is definitely one of them. Megan made me look like my most beautiful self. I was still me, there wasn’t so much makeup too hide my natural looks, it was just a much better version! 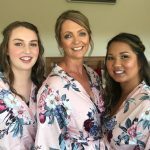 My four bridesmaids, mum and the mother of the groom also had their makeup completed by Megan, and each one was ecstatic with the end result. 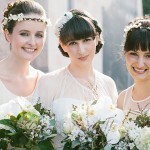 They all looked so beautiful, and I was very proud of my gorgeous wedding party. Two of my bridesmaids hate having their makeup done and they were so happy with the look Megan gave them that they sang her praises for weeks . 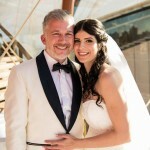 Thanks Megan again for you professionalism, friendliness and encouragement, it was such a pleasure to spend part of my big day with you. 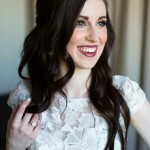 Megan did an incredible job of my bridal makeup. We all looked gorgeous thanks to her! She did an amazing job of interpreting the look I was after. 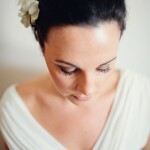 She also made us all feel comfortable on the day, as she is so friendly and lovely to work with. A very talented make up artist. 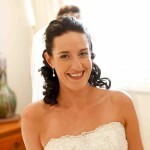 “I just wanted to thankyou so very much for my wedding day makeup. It looked amazing and everyone commented on how fantastic it looked. The bridesmaids and my mum also looked absolutely stunning and I cannot thankyou enough for such a great time and for the perfect makeup that stayed on so well all night, even with all of the dancing we did. 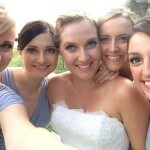 “Dear Megan, thank you so much for coming to Bega to do my bridal party makeup on Saturday. 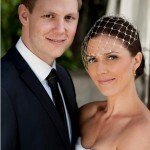 “I would like to express my absolute gratitude for your services on the 10th of February 2012 for my wedding. I was so unbelievably happy with my makeup It lasted all day and well into the night, and it was exactly how I envisioned. I cannot express how wonderful it made me feel, and I know it showed on the day. I would not hesitate in recommending your services to anyone and everyone. You were an absolute joy to work with, and I would use you again and again if I could get married once more. 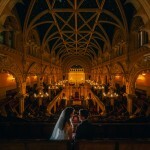 (but i dont think the husband is all to keen on the idea)…. 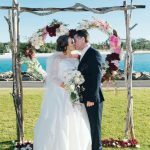 I just wanted to send you an email to say thank you so much for the beautiful wedding makeup you did on December 3 in Kiama. When we first met at the makeup trial in your home, I knew I was in good hands. You made me feel so relaxed and comfortable and understood exactly what I was looking for. Any concerns I had about my skin you put at ease and I was so grateful. The makeup on the day was absolutely flawless and lasted well into the night, even after a couple of hours dancing!! So many people have commented on my makeup and asked me about you, so I’ve been singing your praises! 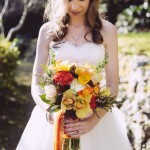 I don’t have the professional photos back yet, but when I do I will definitely share some with you. Wishing you a wonderful and successful 2012. “A very BIG thankyou to you for my wedding makeup.. And my bridesmaids.. Everyone complimented us on it.. You made me look so beautiful!! 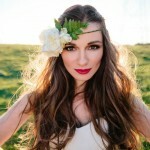 I loved it, and it felt so good all day and night.. Didnt have to touch up anything, only my lippie when needed..
“I have worked with Megan from Make up by Megan on two separate photo shoots now, and from these experiences I have absolutely no hesitation in recommending any of my clients to her!! 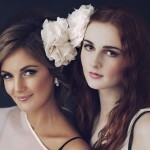 Megan’s makeup work has been stunning, flawless and worked perfectly to suit each of the models for each of these shoots. 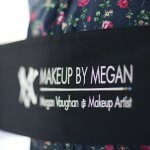 “Megan is not only a truly amazing person but a truly amazing make up artist. “I had my make up done by Megan last Saturday – not for a special outing or anything like that – rather that I felt that I had made it to a certain (let’s say “mature”) age sort of knowing the basics of make up application from having had the odd look done here and there at a make up counter and by reading mags but without really knowing the look that suited me and my colouring, etc. 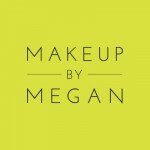 I have known Megan for a number of years through her previous work life and she always struck me as being perfectly groomed with beautiful make up so when I heard that she had followed this path, I felt that she would be the perfect person to teach me how to create a look that I can easily – and quickly! – replicate. Megan turned up with an impressive array of make up and accessories and in a relatively short period of time – after asking me numerous questions about what I like/don’t like in a make up look and after pointing out all the positive things about my face (bless her!) – created a look that I just LOVE and that I can vamp up for night and tone down for work/every day. I can use a lot of the make up I already have but didn’t really know how to apply. She sells a number of high quality products that you can’t find in shops but is not a high pressure sales person at all – on the contrary, she tries to use the product you already have where possible. I couldn’t resist though and did order a beautiful lipstick and liner through her (now knowing how to apply them! ).